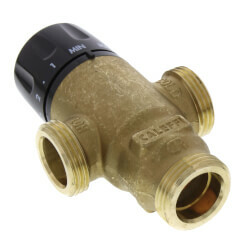 Mixing valves mix cold and hot water to a desired temperature for a large variety of radiant heating and domestic water applications. 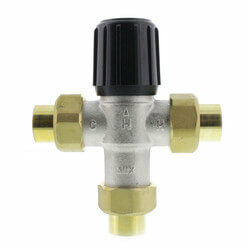 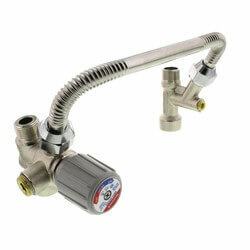 They ensure constant, safe water temperature at faucet and fixture outlets to prevent scalding and thermal shock. 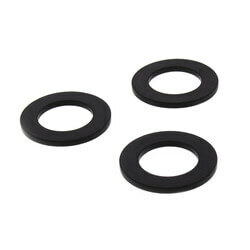 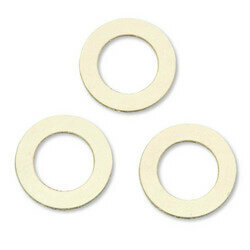 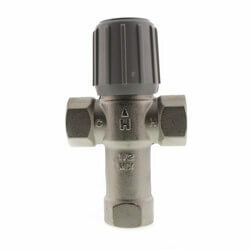 They provide a steady mixing temperature within 85-150F degrees. 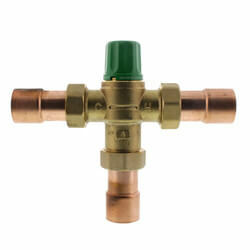 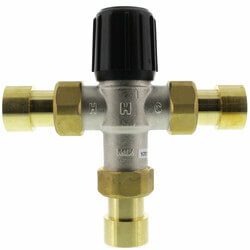 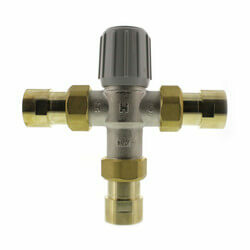 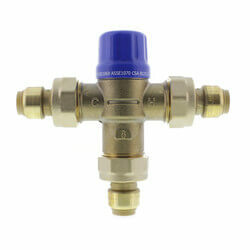 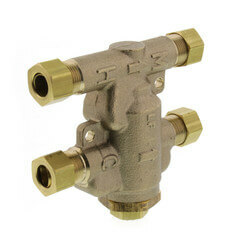 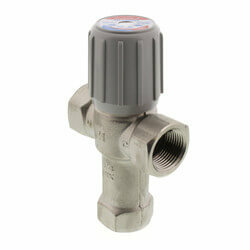 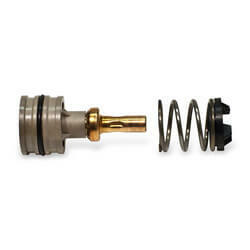 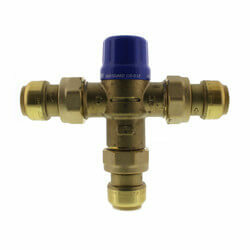 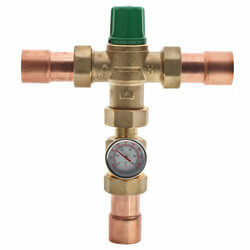 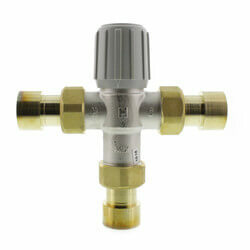 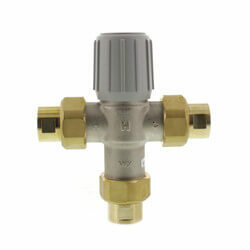 Mixing valves are commonly referred to as thermostatic valves, diverting valves, tempering valves, or anti-scald valves. 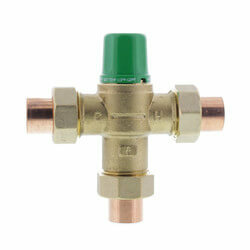 How does a mixing valve work? 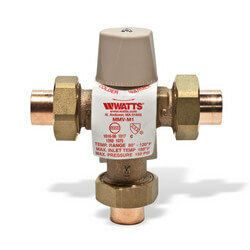 A thermostat in the mixing chamber of a mixing valve senses the outlet temperature. 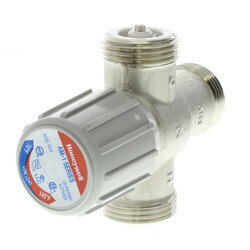 The thermostat automatically positions a seat assembly which controls the flow of hot and cold water supplied to the mixing chamber. 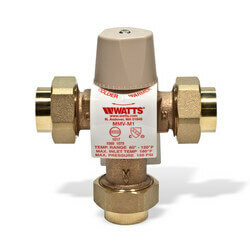 If the mixed outlet temperature increases, the thermostat will expand and open the cold water inlet wider. 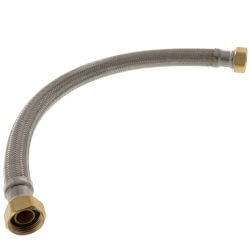 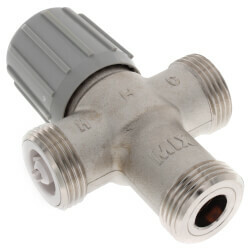 This allows more cold water to enter the valve. 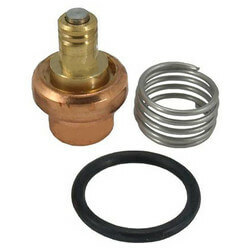 However, if the mixed outlet temperature decreases, the thermostat will contract and open the hot water inlet wider, while simultaneously constricting the cold water inlet. 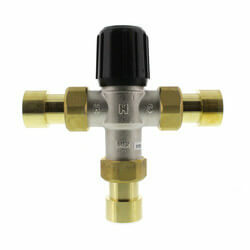 By sensing the outlet temperature, the mixing valve will automatically adjust the flow of hot or cold water to maintain the preset temperature of the valve. 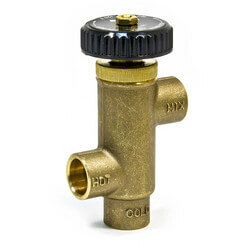 In the event of a cold or hot water supply failure, the seat assembly moves to an extreme position and shuts off the hot or cold water inlet. 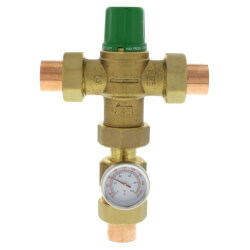 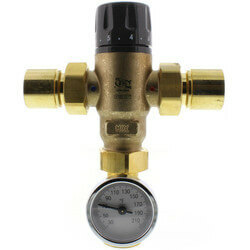 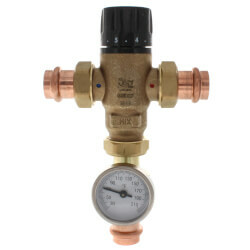 We offer mixing valves in a wide variety of sizes and connections types manufactured by Taco, Honeywell, Watts, Tekmar, and Holby to suit all of your standard, hydronic or radiant heating systems.